Xi's current research examines the impact of artificial intelligence on the future of work, focusing on the empirical evidence in the United States. In addition, she is continuing her previous work on understanding the infrastructure development process in China, how the Chinese infrastructure system is vulnerable to climate change impacts such as flooding and droughts and what the adaptation implications are for policy makers. Fears of robot-induced employment have dominated discussions about the future of work. So far, the focus has been on the industrial sector whose share of employment dropped by more than 10 percent over the last two decades in countries such as the Republic of Korea, Singapore, Spain and the United Kingdomand has fallen to 12.6% in the US in 2017. Much of this decline is attributed to automation, the expansion of employment to the service sector, and globalization, with China becoming the world's manufacturing hub. Yet, few academics have studied the role of software robots on employment in the white collar and service sector jobs that dominate most economies, which could impact jobs far beyond what we can imagine. In this paper, I develop systemic evidence on employment changes due to the introduction of software robots, focusing on white collar industries and jobs in the United States and I develop models to forecast future changes in jobs. I have built novel system-of-systems risk assessment methodologies and data China, representing infrastructures (energy, transport, waste, water and digital communication) as interdependent networks that support spatially distributed users of infrastructure services. 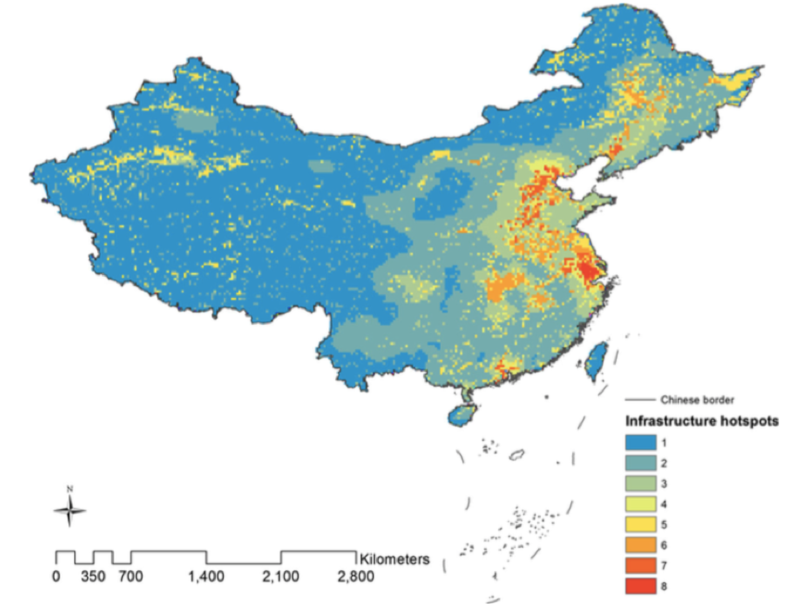 Using ITRC methods and a unique national-scale geo-spatial network database, I have created, for the first time, flood and drought exposure maps of Chinese key infrastructures highlighting the locations of key urban area to understand how its infrastructures and population are vulnerable to climate change impacts. This work has been peer-reviewed and published in Natural Hazards, and yielded articles featured on policy blogs and 2017 Global Risk Report of the World Economic Forum. Applying advanced hydrological models incorporating climate change scenarios, we find that by 2055, the number of infrastructure assets exposed to increasing probability of flooding under RCP 4.5 are 41, 268, 115, 53, 739, 1098, 432 for airports, dams, data centres, ports, power plants, rail stations, reservoirs respectively – almost 8% of all assets for each sector. This work builds on a first-time empirical estimate of the direct and indirect macroeconomic impacts of natural hazards on 399,356 Chinese companies. We find that large flooding events on average reduce firm outputs (measured by labor productivity) by about 28.3% per year. Using an input-output analysis, we estimate the potential macroeconomic impact to be a 12.3% annual loss in total output, which amounts to 15,416 RMB billion. Impacts can propagate from manufacturing firms, which are the focus of our empirical analysis, through to other economic sectors that may not actually be located in floodplains but can still be affected by economic disruptions. Lagged flood effects over the following two years are estimated to be a further 5.4% at the firm level and their associated potential effects are at a 2.3% loss in total output or 2,486 RMB billion at the macro-level. These results indicate that the scale of economic impacts from flooding is much larger than microanalyses of direct damage indicate, thus justifying greater action, at a policy level and by individual firms, to manage flood risk. I examine China’s infrastructure development and planning processes from 1949 to 2015 by assembling and creating a novel method and dataset that combines infrastructure growth with urbanization, economic growth and demographic changes. The model developed can be used to project into the future, as to where China may build. This work is showcased at the World Economic Forum Davos in Dalian in 2017.